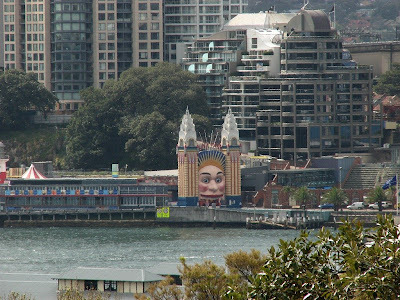 Luna Park has been a tradition for decades. Some of you may recall it featuring in the movie "Summer of The Seventeenth Doll" with John Mills and Ernest Borgnine. After a tragic fire in the 70s, it was reopened. Luxury apartment blocks were built around it. The park is now severely hampered thanks to noise complaints by the rich and powerful who moved in long after the park was built.